Image Via: David Suzuki Foundation. The David Suzuki Foundation is recruiting Toronto residents to participate in the second year of the Homegrown National Park Project, a collective effort to create a green corridor along the former path of Garrison Creek, in the city's west end. "The first year of the Homegrown National Park project showed how residents can quickly, creatively transform the places where they live, work and play – and have a lot of fun while doing it," said David Suzuki, co-founder of the David Suzuki Foundation. "I urge residents to apply to be a Homegrown Park Ranger and help bring more nature home to the city in 2014." 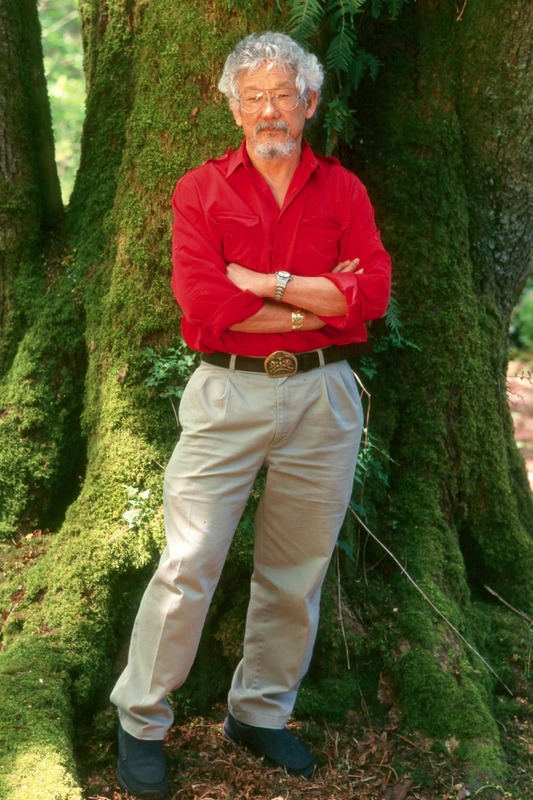 The Homegrown National Park project was inspired by authors Richard Louv and Douglas Tallamy. It began in April 2013 with a training session for 21 Homegrown Park Rangers, eager local residents with backgrounds ranging from art and architecture to real estate and theatre. Over the following six months the Park Rangers worked with 14 partner groups and more than a dozen park and resident associations to organize popular events, like a Birds and the Bees Picnic, pizza nights in the park, educational walking tours and an outdoor movie screening. The Rangers then began to hatch plans for greening schoolyards, alleys, parks, streets, balconies and yards. Some began experimenting with green interventions, like pothole planters, moss graffiti and canoe gardens. Others aimed for bigger interventions, including transforming a parking lot into green plaza, a schoolyard into pollinator garden and ‘parkify-ing’ a residential street. By the end of the first year, more than a dozen Park Ranger-led interventions and events were completed, resulting in more than 2,000 volunteer hours and 1,000 flowers and shrubs planted. The Homegrown National Park project will continue this year with an expanded area that includes municipal wards 17, 18, 19, 20 and 21 – that’s roughly from Eglinton Avenue to the waterfront, between Keele Street and University Avenue. Park Rangers will be selected through a competitive process. The application deadline is midnight on February 10. You can apply at http://davidsuzuki.org/issues/wildlife-habitat/projects/the-homegrown-national-park/2014-homegrown-park-ranger-application/.